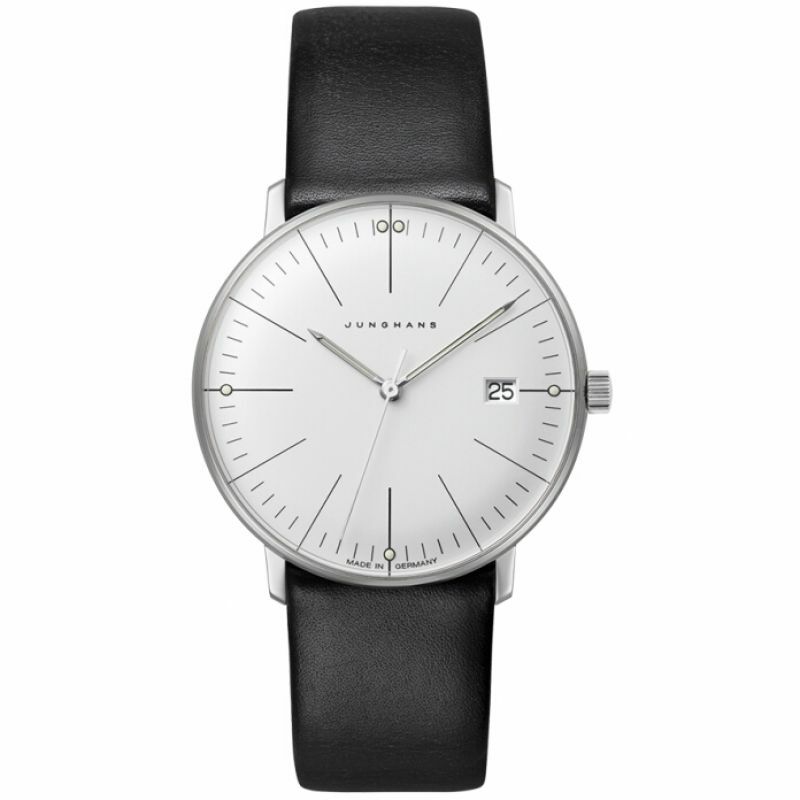 Iconic design, true to the original penned by Max Bill in the 1960's, the Junghans Max Bill Damen is elegant and refined, as well as perfectly simple. Inside the watch is a Junghans Quartz J643.29 movement, with the bare necessities of second, minute and hour, as well as date displayed at 3 o'clock. 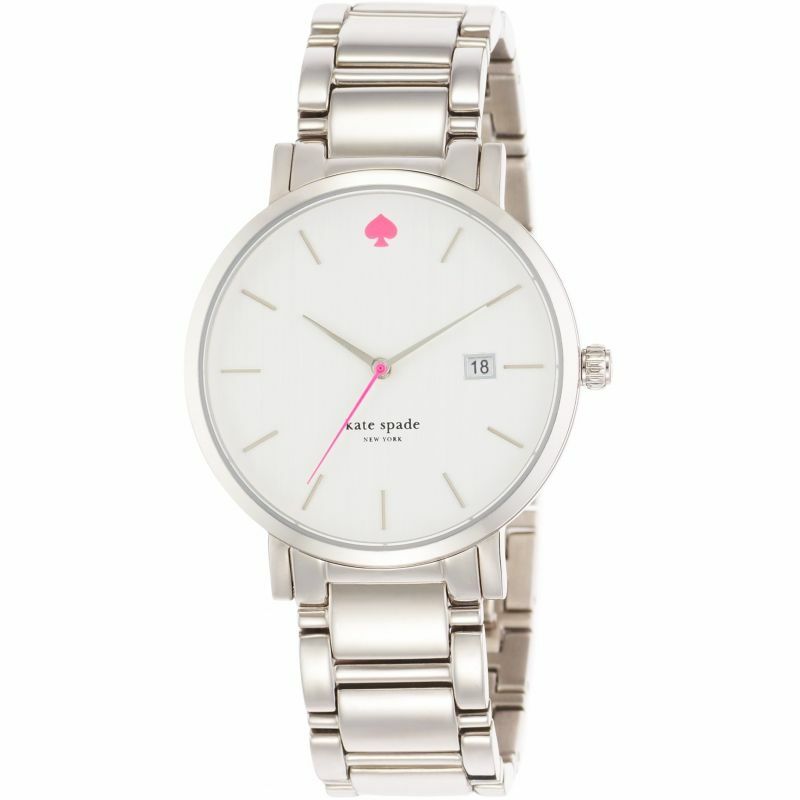 This is displayed on a matte silver plated dial, beautifully curved, with hour and minutes marked clearly and simply with very slim batons, and luminous markers at the 4 quarters. The case is a stainless steel construction, with curved SICRALAN coated hard plexiglass, true to the original. 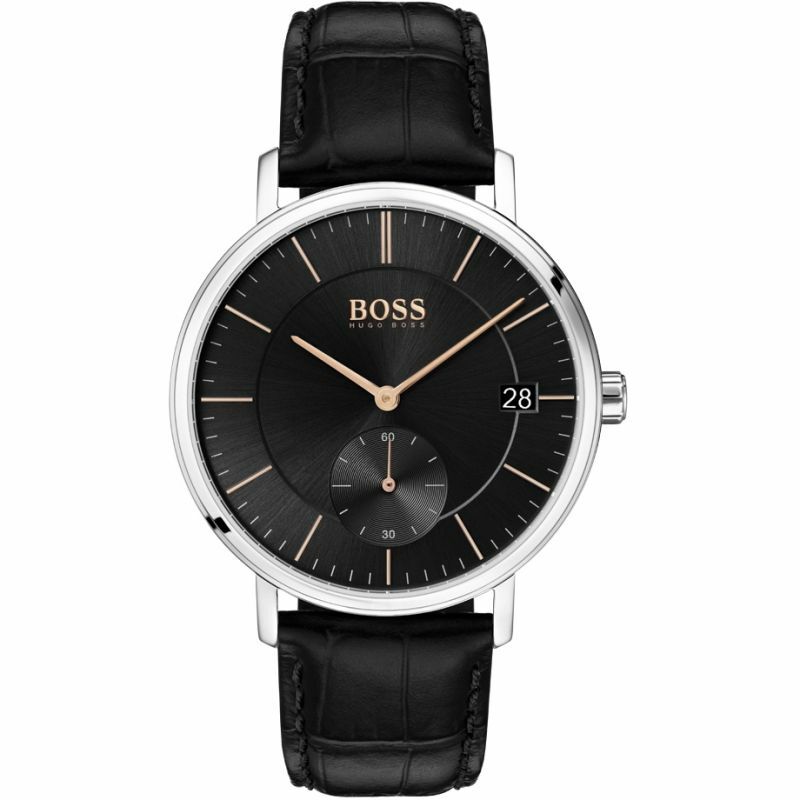 The watch fastens on a soft black calfskin leather strap. 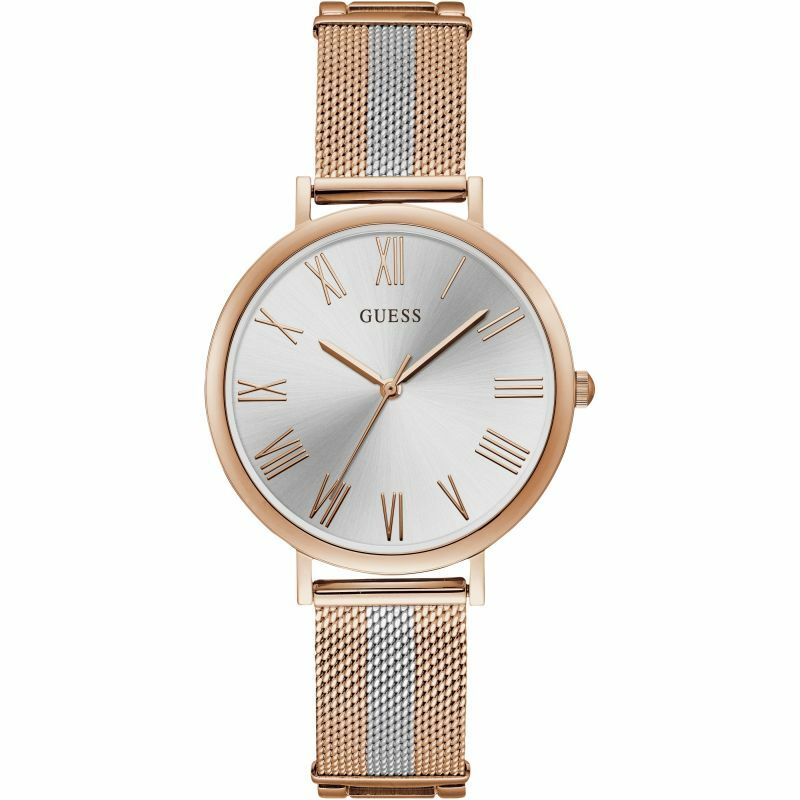 GUESS Ladies rose gold watch with two tone mesh bracelet.